No. 10 Head to the sunshine state, more so to Miami, Florida to soak up the sun by day and then by night dress up like your favorite zombie and head over to the Massive Ideas Masquerade. For family fun, the Miami Zoo can’t be beat for its free range where animals are grouped together based on their geographic territory and exhibits are entirely cageless. Afterwards try a Cuban sandwich at La Carreta, the original Cuban kitchen. 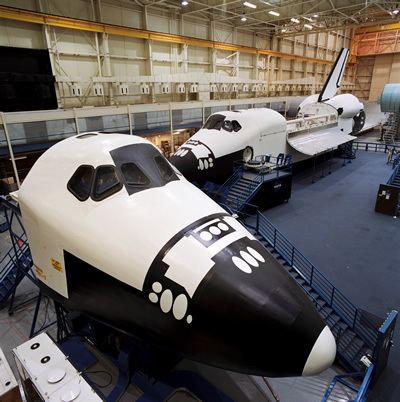 NASA Johnson Space Center– Take a tram tour, a behind-the-scenes journey through NASA’s Johnson Space Center, you may visit the Historic Mission Control Center, the Space Vehicle Mockup Facility or the current Mission Control Center. Before returning to Space Center Houston, you can visit the “all new” Saturn V Complex at Rocket Park. Occasionally, the tour may visit other facilities, such as the Neutral Buoyancy Laboratory. You may even get to see astronauts training for upcoming missions. Imagine discovering a treasure trove of ideas for a fun weekend, or a mini-vacation, an extended leisure trip or even an educational adventure, at no cost to you. Just stop by any Alabama Welcome/Visitor Center and you’ll find rack after rack, on every wall and in every nook and cranny, filled with maps, guides, special event calendars, photo journals, booklets, pamphlets, discount coupons, and … Continue reading On the Road to “Sweet Home Alabama” . . .
Are We There Yet? A nod to the road trip . . .
How many times have you heard that question: Are we there yet? In all likelihood you were guilty of asking this very same question; no matter your mode of travel. So where are we off to this time? And how long will it take us to get there? We’re off to the Finger Lakes region of New York; specifically Canandaigua, which is not quite … Continue reading Are We There Yet? A nod to the road trip . . .
Did you think we meant Sparta, Greece? There are a total of 28 towns named Sparta in the U.S., plus one in Canada and two in South America. Although Sparta, Greece would provide the most historic significance, our travels are taking us to the Smoky Mountains of North Carolina, and to the town of Sparta, North Carolina, about six miles to the famed Blue Ridge … Continue reading PACK YOUR BAGS … IT’S A ROAD TRIP TO SPARTA!